A cleric of Chaos, dwelling in the aptly-named Chaosrealm, Havik was introduced to the franchise in Mortal Kombat: Deception and was quickly accepted as one of the few interesting new characters of his generation. With little story outside of his intent to disrupt order and topple those who employ it, namely his discontent for the zealot Hotaru of Seido, the Orderrealm. Havik was favoured for his aesthetic which comprised of a decaying corpse dressed up in twisted battle attire coupled with macabre moves in Kombat. Tearing off his head and rolling it towards the opponent, or snapping his knees backwards to discharge a projectile were testament to his chaotic nature. 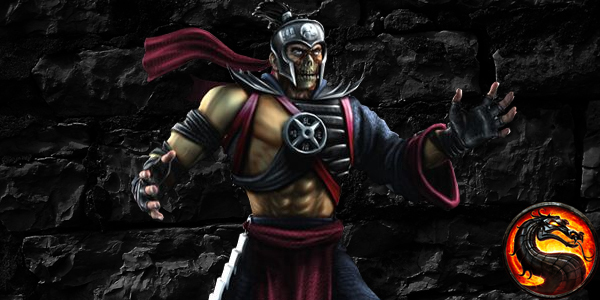 There is a lot that could be done with Havik in a upcoming instalment of Mortal Kombat, notably with his move-set. Dependent on the complexity of animation technology, Havik could contort and dislocate various parts of his body during combo's to make you cringe and smirk at the twisted genius the developers have put in. His contribution to the story could prove exciting, given he seeks only to enact chaos and is a persistent troublemaker. Allies he may have but a few, but adversaries could tally up if this servant of chaos is untethered from his shackles.